January is School Board Recognition Month. 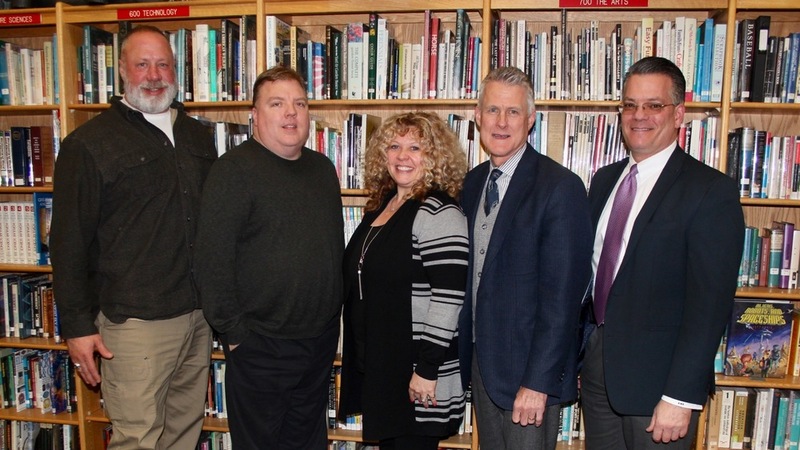 Columbiana Board Members are pictured from left to right: Scott Caron, Mike Clark, Kelly Williamson, Mark Hutson, and Tony Roncone. The Columbiana Board of Education works very hard to keep Columbiana School "Excellent"! Their role requires them to stay up to date on the latest district, regional, and state educational initiatives. They put in long hours with minimal pay, but are extremely dedicated to the Columbiana community. Our Board focuses on the success of students while balancing their jobs, family, and personal responsibilities. Please take a moment to "Thank" them for their dedication to Columbiana Schools! !